On your first visit, an in depth confidential health exam will take place. 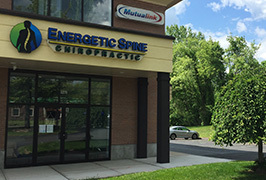 The chiropractic exam will include: consultation, patient history, and physical examination. During the physical examination we utilize a variety of methods to determine the spinal segments that require chiropractic care, including but not limited to static and motion palpation techniques determining spinal segments that are hypo mobile (restricted in their movement) or fixated. In addition, a thermal scan, which was designed by a NASA researcher, will be taken of your spine. This scan gives us the best indicator of the functioning of your nervous system. The nervous system also innervates the skin, the largest organ of the body using vasoconstriction and vasodilatation to help regulate body temperature. When there is interference in the nervous system, the thermal readings will be out of balance. A Thermal Scan measures “infrared heat temperature differentials,” allowing us to pinpoint areas where Subluxation and tissue inflammation are present. We use this state-of-art test to help us locate misalignments. After analyzing the data to this point, x-rays may or not be taken. While not always necessary, they are a reliable way of making care safer by ruling out contraindications while measuring changes in spinal alignment. 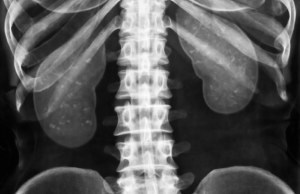 Viewing X-rays, help us evaluate the health of disc spaces between your vertebrae and accurately assess the position of bones to determine if ligaments in your spinal column have been stretched or torn. Subsequent visits will routinely begin with the thermal scan to measure progress and determine if you need an adjustment in that particular day.